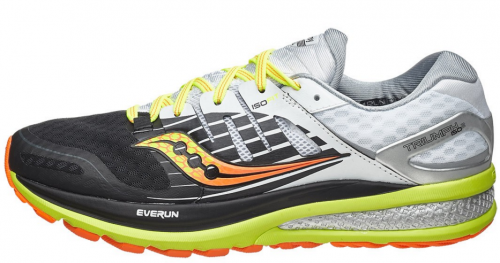 Plush responsiveness meets ultimate comfort with the Saucony Triumph ISO 2. Featuring an EVERUN topsole and landing zone, this daily trainer offers increased impact protection and energy return for the long miles ahead. Along with seamless ISOFIT upper engineered to produce a sock-like feel, the Triumph 2 is sure to provide plenty of comfort and adaptability.